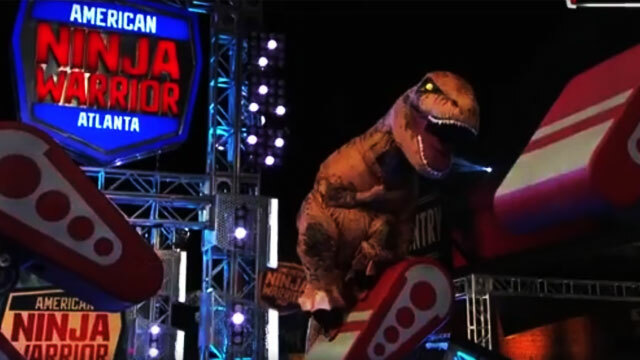 The American Ninja Warrior obstacle course brings out the best and the worst in everyone. Even battle-tested and heavily trained participants had been reduced to mere mortals once faced with its four almost-insurmountable stages—good luck even reaching Mt. Midoriyama. That is why when a Tyrannosaurus Rex—in all its inflatable and 65-million-year-old glory—emerged in pursuit of "Total Victory," the audience present initially wasn't sure how to react, especially with its stocky built and notoriously short arms.